Marloes is a Client Support Manager at CFG Law and is a key colleague in providing support and helping clients in times of turmoil. She is an Occupational Therapist with over 17 years’ clinical experience, working for both the National Health Service and the private sector. 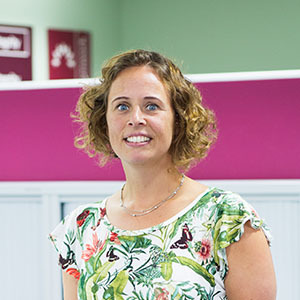 Marloes has expert knowledge and skills in neurological rehabilitation and is highly trained to carry out assessments to identify our clients’ immediate needs. Marloes always goes the extra mile for clients, continually encouraging their independence. Her positive manner and attitude, coupled with her caring nature are always on display to motivate clients to achieve their full potential. She is extremely loyal, trustworthy and devoted to delivering the very best support to everyone, whether that’s a colleague, client or their family. Communicating with clients and their families in stressful times and trying to use a positive and practical approach to provide help and support. Problem-solving and thinking outside the box to find a solution. Liaising and coordinating with other healthcare professionals to establish and arrange ongoing care needs for clients. Providing immediate support to clients and their families. Bringing healthcare and law together to ensure the very best outcomes for clients. The positive and inspiring environment, with all colleagues working together to improve client outcomes. Cognitive rehabilitation after a traumatic brain injury. Assisting with the development of CFG Law’s unique approach to rehabilitation and support and developing her role as a Client Support Manager. “I’m so pleased with the support I have received from Marloes Molinger. She was able to identify my needs and sourced a charity to fund a scooter so I can continue with my University course.” I.F. “Thank you so much for your help and support, this really means a lot to me. I couldn’t have done this alone, you’re a credit to your company.” N.D.